Litle HowTo prepare Boost and RCF on Mac! What is Boost and RCF? Boost is a powerful and portable C++ library. 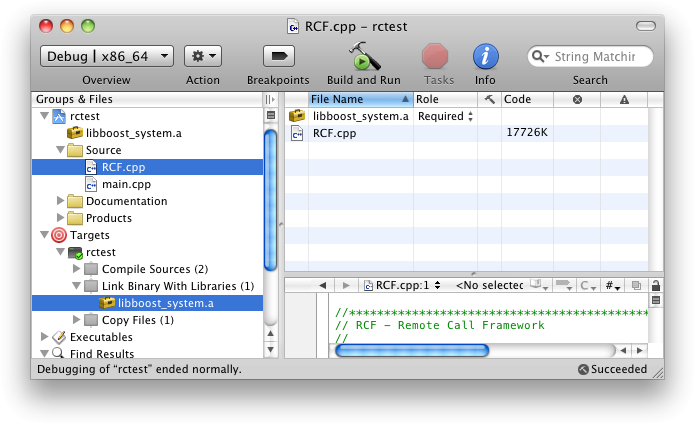 RCF is a Remote Call Framework something like RPC. The two libraries written in C++ seems to be Cross Platform and Cross Compiler also 64 bit. From RCF documentation only one thing must be done. Use of the typedef’s in “boost/cstdint.hpp” for portability. The first step is to download and compile boost. It’s build a bjam command-line tool that drives the Boost Build system. Run bjam and wait, wait a lot! Apple’s version of the GCC toolchain with support for Darwin and MacOS X features such as frameworks. Build all supported variants of the libraries. Names of boost binaries include the encoded build properties such as variant and threading. Displays the list of Boost libraries. Remove targets instead of building. Run up to N commands in parallel. Only for multiprocessor compilation. Explicitly request either 32-bit or 64-bit code generation. Linking to the C++ standard library and compiler runtime support libraries. Determines if bjam creates shared or static libraries. Cause the produced binaries to be thread-safe. Choosing a specific build variant by adding release or debug. Now boost library is compiled and ready. Next step is RCF framework. Download and extract RCF-1.3 to your working directory. 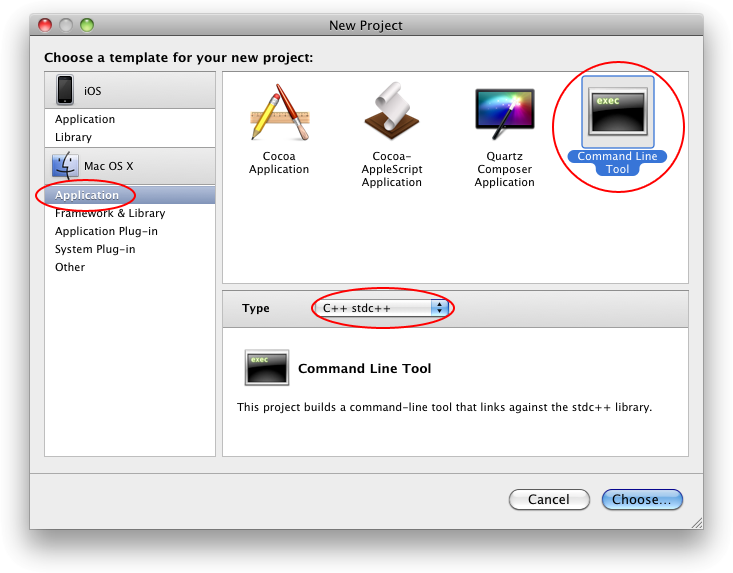 Create a new command-line project with Xcode. Don’t forget to select “C++ stdc++” in Type box! Go to “Project” menu and select “Edit project Settings” then select “Build” tag. Search for “Header Search Paths” settings and append RCF and Boost include path in the list. Search for Preprocessor Macro and add “RCF_USE_BOOST_ASIO”. Set also “Library Search Path” to “boost_1_45_0/stage/lib”. Finally in the main window go to “Source” select and right-click, select “Add”, then “Existing Files”, navigate to “RCF-1.3/src/RCF”, find and add “RCF.cpp” file. Also go to “Targets” -> “Link Binary With Libraries” and add “libboost_system.a” and others “.a” files from the “boost_1_45_0/stage/lib” directory. Open main.cpp and insert test code. Some time ago I wrote script for Hacking Fonera Access Point. This script move root file system to USB device and permit any kind of installation and easily revert any changes to original state without stress for internal flash drive. In fact it’s stress USB device but it’s better than damage the internal flash! First time the script copy entire Fonera root file system to USB device, next time everything except kernel is loaded from external USB. If no valid USB drive/partition is detected it’s automatically load internal root file system after about 20s. Create on USB device one or more partition with ext2 or ext3 file system. Finally add an empty file named “usbrootfsready” on the root of partition. We need to gain access to Fonera shell and create file named “/sbin/usbrootfs” with this contents. Now delete or rename “sbin/init” and create new init file. Don’t forget to mark this files as executables. It’s all. Reboot and enjoy hacking! 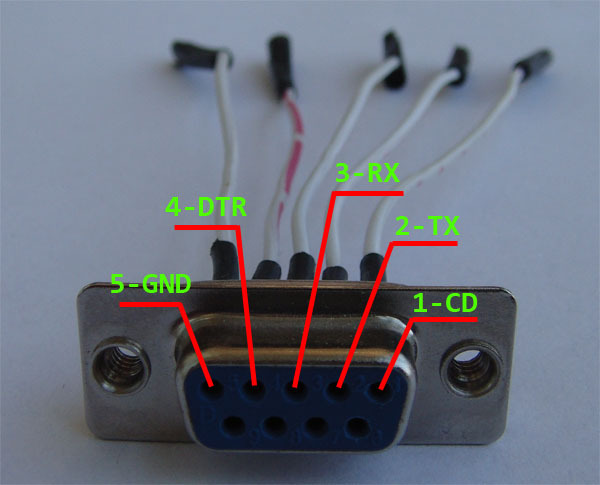 Interfacing with computer serial port and Python via pySerial module. The wiring is so trivial. Start from data sheet we need 4 pins: GND, VCC, TX, RX. Sensor operating voltage is from 2.5V to 5.5V and the current is about 2mA, then we can get power from serial port DTR or RTS pins. Look at this explanation. ATTENTION! RS-232 specification says that tension can be 25V. You can simply BURN the sonar, computer, house and more… Don’t do anything if you don’t know what are you doing. In my case I am using USB to RS-232 converter. Output voltage is 5V so I don’t need additional circuitry, just simple pin to pin wiring. print int(data[1:4]) * 2.54, "cm"
Many thanks to Antonio Bugnone for soldering. First we need a NumPy and MatPlotLib modules. 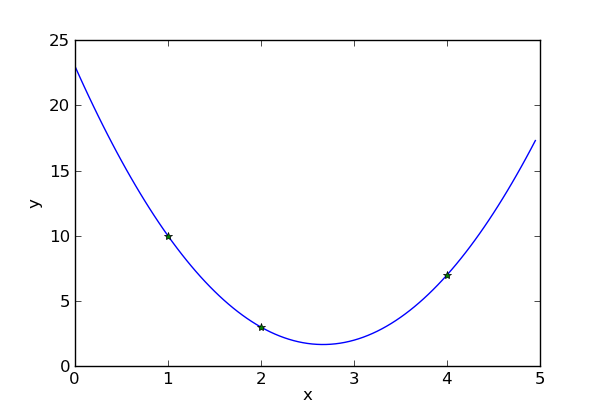 Look at curve fitting explanation from wiki. This will exactly fit a simple curve to three points. 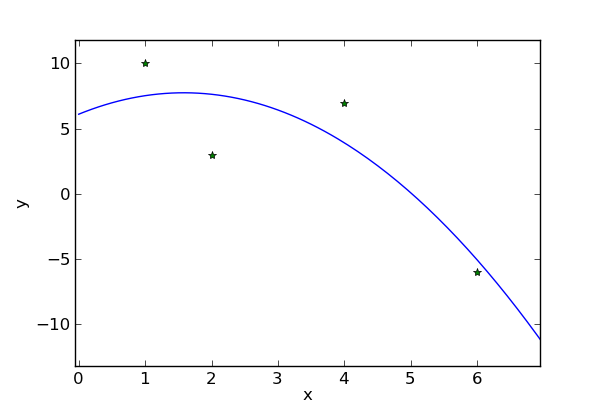 Using more points we get a nearest possible curve.